“Maturity assessments are a kind of qualitative audit during which the current ‘maturity’ of an organization is compared to a maturity reference model and ranked accordingly to its score. […] The maturity assessment is usually quite simple: a questionnaire guides the assessment, each maturity level being characterized by a set of requirements. It is close to an audit. I agree with Chris’s analysis, but my conclusions are blunter. Scoring an organization in terms of compliance with a set of practices is like judging a chess player by the number of pawns moved per game. It’s doable but irrelevant, and a distraction from the real work of improvement. The record of this approach is that you have organizations scoring top marks on every axis while going bankrupt and low scoring organizations that prosper. 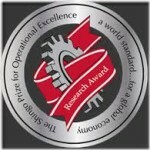 Who would not want something called “Operational Excellence”? “Excellence” is superlative goodness, and “Operational” suggests a scope that includes not only production, logistics, and maintenance in Manufacturing, but also administrative transaction processing like issuing car rental contracts or marriage licenses. The boundaries are fuzzy, but Marketing and R&D are not usually considered part of Operations. Hearing “Operational Excellence” for the first time, everybody takes it to mean whatever they think is the best way to run operations, which makes it unlikely that any two people will have the same perception. If marketers of consulting services can prevail upon a profession to accept such a vague and generic term as a brand, they can sell pretty much anything under this label. By contrast, the Toyota Production System (TPS) specifically refers to the principles, approaches, methods, and tools that Toyota uses to make cars. When you first hear it, you may not know what those are, but you know that you don’t know. 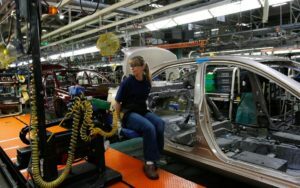 Another difference between “Operational Excellence” — also known as “OpEx’ or “OE” — and TPS, is that the first is a goal, while the second one is a means to achieve the unmentioned but obvious goal of thriving in the car industry. It is an increasingly popular term, perhaps because of its very lack of precision. Google it, and you find, for example, that, Chevron “has spent more than 20 years expanding systems that support a culture of safety and environmental stewardship that strives to achieve world-class performance and prevent all incidents. We call this Operational Excellence (OE),…” So, at Chevron, OE is about avoiding accidents that directly hurt people and oil spills that ruin the environment. It is certainly not what it means to the Institute for Operational Excellence. Its website has a glossary that contains exclusively terms from TPS or Lean, like Andon, Cell, Chaku-Chaku, 5S, Kanban,…, which strongly suggests that Operational Excellence is just the latest avatar of TPS when applied outside of Toyota. For 25 years, “Lean” has reigned supreme in this role but may finally be getting stale after so many botched implementations. The Utah State University website, on its Jon M. Huntsman School of Business page, has a directory entry for The Shingo Prize for Operational Excellence. The Shingo Prize site itself, however, while using “excellence” in almost every sentence, does not refer to operational excellence. The theme of this year’s Shingo Prize conference, in Sandusky, OH in May, was “Enterprise Excellence,” which sounds like a further generalization. But, digging deeper, you find that the Shingo Model Handbook contains “operational excellence” 31 times, “Lean” 7 times, “Toyota” twice, and “TPS” never. The Shingo Prize page uses as a banner a picture of three gears with the teeth enmeshed in such a way that they can’t move, a picture that would have seemed odd to an engineer like Shigeo Shingo. His legacy is primarily contributions to production engineering like SMED, Poka-Yoke, and line/work station design. On these subjects, you cannot see daylight between Shingo’s work and the Toyota Production System (TPS). Therefore, when you see a document called “Shingo Model Handbook” that refers repeatedly to Operational Excellence and never to TPS, you can’t help but conclude that Operational Excellence is just another name for TPS. UC Berkeley has an Operational Excellence (OE) Program Office. Based on the family picture in its Spring 2014 Progress Report, it has 12 members. UC Berkeley has a total workforce of 29,000, of which 2,000 are full and part-time faculty members, and about 36,000 students. It works out to 1 member of the OE Program Office for every 2,417 members of the work force and 3,000 students. They present themselves as internal consultants, with access to funding and expertise in “project management, change management, strategic planning, campus engagement, financial analysis and planning, business and data analysis, and communications.” The director of the office has been on the administrative staff for 13 years and reports to the university’s chief administrative officer. This is yet another take on it. At first, it sounds like another version of True North, as explained by Art Smalley. Taking a closer look, as a general statement, it does not make much sense. It implies that every employee of every organization is involved in something that can, at least metaphorically, by described as a “flow of value” to customers. It is no stretch to see how this applies to a hot dog street vendor, but how does it work for, say, a firefighter? A firefighter serves the public by putting out fires, but the value of a firefighter resides in the ability to put out fires when they occur, not in the number of fires put out. A firefighter “seeing a flow of value to customers” is a head scratcher. As for “fixing the flow before it breaks down,” it conjures up the image of a plumber repairing a pipe that doesn’t leak. The emphasis on metrics is a throwback to Management-By-Objectives, an approach that has historically not led to excellence at anything but gaming metrics. 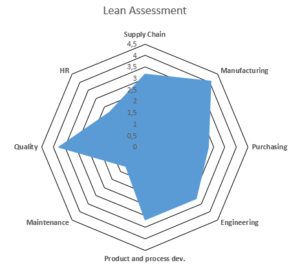 Lean Manufacturing, Six Sigma, and Scientific Management are emphatically not continuous improvement methodologies. Continuous improvement is a component of Lean but by no means all of it. Six Sigma is not continuous improvement at all, and Taylor’s “scientific” management was about preventing operators from colluding to curtail output, not improving processes. Continuous improvement is not event-based. Contrary to what the name suggests, “Kaizen events” don’t do continuous improvement. This format was actually developed in the AME in the 1990s based on the realization that just continuous improvement could not accomplish changes of the scope that was needed. TPS/Lean, when correctly implemented, has always been about a long-term change in organizational culture.